As recently reported by the Centers for Disease Control and Prevention (CDC; 2010), the incidence of bloodstream infections associated with central venous catheters (central lines) has dropped 18%. The report compared data from January to June 2009 to data from 2006 to 2008. This drop is important because it suggests that a national effort to prevent the infections is having some impact. But a report earlier this year from the Agency for Healthcare Quality and Research (2010), using a different methodology, concluded that there has been no nationwide drop in these infections, despite years of effort by clinicians, industry, and healthcare institutions. Whatever the actual numbers, the infection-fighting task is far from complete. Many experts believe that catheter-related bloodstream infections (CR-BSI) are entirely preventable. Yet an estimated 30,000 patients per year lose their lives to these infections (APIC, 2010). CR-BSI, which cost tens of thousands of dollars on average to treat, also contribute substantially to healthcare costs. Those are costs that hospitals themselves often now bear because the Center for Medicare and Medicaid Services (CMS), agreeing that these complications are avoidable, stopped reimbursing hospitals for CR-BSI in 2008 (Medicare Program). The healthcare community has an obligation—and a strong financial incentive—to remain focused on the goal of completely eliminating CR-BSI until that goal is achieved. In part by focusing on antimicrobials such as dressings and on technologies such as advanced IV connectors, many institutions can achieve this goal. The origins of CR-BSI are poorly understood at many institutions, so prevention efforts are often poorly targeted. When facilities do establish sensible, evidence-based prevention policies, compliance with them is inconsistent. Current prevention guidelines from prominent organizations such as the Institute for Healthcare Improvement (IHI) and Society for Healthcare Epidemiology of America (SHEA) describe a consensus approach that is inherently minimalist. A more comprehensive approach drawing upon recent research findings is likely to be more effective. to catheter occlusions (also known as clogging), which are a known risk factor for bloodstream infections. There is relatively little research on effective catheter technology, care, and maintenance given the prevalence of catheter placements in contemporary medicine. Some institutions may not be addressing problems appropriately—that is, making appropriate changes in response to a high CR-BSI rate at their facility. 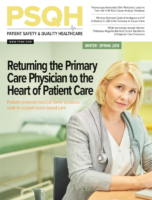 This article addresses each of these issues, with particular focus on providing clinicians and institutions with current guidance on prevention methods and compliance. The design features of zero-fluid-displacement connectors enhance flushing and swabbing for purposes of preventing CR-BSIs and occlusions. A central venous catheter (CVC) insertion-and-maintenance bundle is a group of evidence-based, preventive practices and technologies that produce better outcomes when implemented collectively than when implemented individually. A bundle, of course, will only be effective to the degree that it addresses the actual origins of CR-BSI. This means that it must include efforts to combat the formation of biofilm, because it is now well established that CR-BSI develop as a result of bacteria colonizing on catheter walls. Biofilm forms when free-floating (planktonic) bacteria adhere to a surface and colonize. During the colony-forming process, the bacteria are known to undergo genetic changes and form a polysaccharide cover referred to as biofilm that protects the colony as a whole. This colony grows and then sheds either single cells or clumps of cells that then enter the bloodstream and cause the bloodstream infection. Once biofilm forms, it is very hard to kill the colony with antibiotics. Several factors influence the amount of biofilm that can form, including the types and number of bacteria present, the presence of fibrin (a protein in blood plasma) on the catheter wall, and the turbulence of fluids flowing through the catheter (Donlan & Costerton, 2002). Each of these factors should be considered when composing or adopting a CVC bundle. For instance, biofilm can only form on catheter surfaces to which bacteria have access. This means bacteria must first be prevented from either actively or passively migrating down the extraluminal catheter track — that is, where the catheter is inserted and on the external catheter surface. As important, bacteria must also be blocked from entry into the catheter’s intraluminal pathway. Fibrin on the catheter walls and turbulent flow through the catheter both promote bacterial adhesion. While the external lumen is coated from the moment of insertion, strategies to minimize fibrin adhesion to the internal catheter are possible and should be a focus of bundle development. Protecting the extraluminal catheter track is essentially a function of proper insertion techniques and proper dressing management. Dressings are used to keep the catheter clean and dry, because moisture is a breeding ground for bacteria, and also assist with bacterial transit down the catheter track. Antimicrobial dressings in the form of an antimicrobial disc can deter bacterial growth and catheter track migration. The dressing plus a catheter stabilization device should be used to prevent catheter movement after the CVC is inserted, as movement can increase insertion site size and the passage for bacteria. Using maximal barrier precautions during insertion (cap, mask, sterile gown, and gloves for the clinician and a head-to-toe sterile drape that covers the patient). Prepping the skin with a chlorhexidine/alcohol solution before inserting the catheter. With adult patients, avoiding when possible the femoral artery (groin area) as an insertion site because it is associated with higher infection rates. Reviewing daily the necessity of the catheter and removing it promptly if it’s no longer necessary, because the longer the catheter is in place, the greater the infection risk. Every element of the IHI bundle, which was once the most widely recommended approach to CR-BSI prevention, is crucial to patient safety. The bundle, however, does not include two important considerations. First, by focusing on the insertion phase of catheter care, it underemphasizes the care-and-maintenance phase. CVCs may be in place for a week or longer and will be accessed by nurses numerous times during placement for the administration of medications and collection of blood samples. Thus, the longer care-and-maintenance phase presents numerous opportunities for infection. A comprehensive bundle should address this phase as thoroughly as it does catheter insertion. Second, the current IHI bundle underestimates the infection-fighting role of various technologies. Research suggests that technologies combined with simple preventive measures can be useful in preventing major CR-BSI even when background CR-BSI rates are already low (Timsit et al., 2009). A number of technologies have been shown to help prevent bacterial colonization or actual infection — for instance, a foam disc that secretes the antiseptic chlorhexidine gluconate (CHG) for 7 days when placed around the insertion site. Another example includes needleless IV connectors, which are attached to the open end of the catheter. Among the various available designs, zero fluid displacement connectors reveal the lowest bacterial counts in comparative research (Chernecky & Waller, 2010). Connectors are the devices that enable the connection of catheters, administration sets, and syringes for the delivery of IV therapy. Some connector designs are associated with high CR-BSI rates, and recently their design has been implicated as the cause of infection. Perhaps because the IHI bundle is a consensus statement and several years old, it doesn’t address recent classes of products. Nevertheless, CR-BSI prevention depends as much upon intricate knowledge of the attributes of different products as it does on universal practices such as hand hygiene. The IHI bundle has been largely superseded by a more recent set of recommendations, published by the Society for Healthcare Epidemiology of America (SHEA), the Infectious Diseases Society of America (IDSA), APIC, and other organizations concerned with patient safety and quality care (Yokoe et al., 2008). Referred to by many as the SHEA Compendium, the newer guidelines go beyond IHI in cautiously recommending the CHG-impregnated disc, but only for facilities that have unacceptable rates of CR-BSI after implementing SHEA’s more basic practices. The compendium also advises that facilities not use the class of IV connectors it calls positive-pressure needleless connectors (sometimes known as positive-pressure mechanical valves [ppmv]) without “a thorough assessment of risks, benefits, and education regarding proper use.” In the literature, such connectors are associated with higher rates of CR-BSI (Jarvis et al., 2009), so there is little justification for using them at all. This is especially true when better choices—in particular, zero-fluid displacement connectors — are available. Like the IHI guidelines, the SHEA recommendations end up being a very good starting point for a CVC bundle, but only that. IHI and SHEA have made extremely important contributions to CR-BSI prevention. But an institution committed to completely eliminating CR-BSI should look instead to the example set by Sutter Roseville Medical Center in Roseville, Calif. (Harnage, 2007), which as of this writing in June 2010 has gone more than 4 years without a CR-BSI, an unprecedented record in U.S. healthcare. Sutter’s vascular access team, which is responsible for most CVC placements and maintenance at the hospital, created its own bundle based on current theory, knowledge, and evidence, which the hospital implemented in January 2006. In approaching this project, the team believed that the most effective bundle would incorporate both extraluminal and intraluminal evidence-based strategies, including both practices and products, so that every possible opportunity for bacterial contamination was eliminated. Numerous articles have been published about the team’s success in eliminating CR-BSI so the full list of bundle elements will not be repeated here (Harnage, 2007; Harnage 2008; Chernecky et al., 2009). But it is noteworthy that the bundle does incorporate two products that the SHEA bundle does not stipulate. One is the above-mentioned CHG-impregnated disc. Another is a zero-fluid-displacement connector. The authors of this article agree with the Sutter team that a vascular access team and a comprehensive CVC bundle comprise the best approach, given the insidious nature of bacterial contamination. It is also reasonable to replicate a model associated with successful CR-BSI prevention, such as the Sutter bundle, instead of attempting to develop a new one. Protecting the intraluminal pathway is crucial for preventing CR-BSI. Because connectors are the gateway to the intraluminal pathway, one of the most pivotal steps in bundle creation is selecting a connector design among the numerous ones available today that offer fail-safe engineering focused on preventing biofilm formation. The various connector products available today can be classified into two categories: Needle-free (NF) and Intraluminal Protection (IP) (Chernecky et al., 2009). The NF category includes two types: Those that have reflux of blood (blood flowing backwards into the catheter lumen) that occurs with disconnection (called negative reflux connectors) and those that have reflux with connection (positive reflux connectors). The larger point is that NF connectors have designs that are subject to blood reflux. There are two types of negative reflux connectors. Split septum (SS) connectors allow connection by a blunt cannula or the slip tip of the syringe/administration set. With this type, a slit in the septum surface is pushed open with activation and closes with disconnection. When the blunt cannula or slip tip is removed, the reflux occurs to fill the space. Luer- activated negative reflux connectors can be accessed directly by the syringe/administration set. This type does require some mechanism to return the septum to its closed position with disconnection. This mechanism causes the reflux, which is why these connectors are sometimes referred to as needle-free mechanical valves (NFMV). The next type of connector, positive-pressure mechanical valves (PPMV), has an additional mechanical system inside the connector body that forms a negative pressure with connection causing reflux. This pressure is released with disconnection, causing a small outward push of fluid. This push was originally thought to clean the catheter. The intraluminal protection (IP) category design focuses on preventing biofilm formation. It currently includes only one connector design, which does not have any mechanical mechanism and has no reflux with either connection or disconnection. NF connectors have several design problems that increase CR-BSI risk. Repeated blood reflux episodes related to usage coat the lumen’s inner walls with blood, leading to fibrin buildup, which is a precursor to biofilm formation. Not surprisingly, both positive and negative mechanical valves are associated with higher rates of bloodstream infections (Yokoe et al., 2008). They are also associated with higher rates of occlusions (Van Rooden et al., 2008). All NF connectors require nurses to perform a specific sequence of clamping steps to minimize blood reflux (Chernecky et al., 2009). This sequence can be performed when using the connector but cannot be used when using the y-site injection port on the IV administration set. The specific clamping sequence to prevent negative reflux is the direct opposite of the one to prevent positive reflux. With SS and NFMV, you clamp and disconnect. With PPMV, you disconnect and then close the clamp. These opposing sequences in care can make it difficult for nurses to remember the proper steps for the connector they are using. The problem is compounded by the fact that many hospitals make available several types of connectors. Multiple connectors can create difficulties and may increase patient CR-BSI risk (Jarvis et al., 2009). There are other design issues with NF connectors, as well. The CDC recommends that the septums of connectors be disinfected with 70% isopropyl alcohol before the connectors are accessed (O’Grady et al., 2002). But the surfaces of NF connectors have openings and other uneven areas that can be missed by an alcohol scrub. Research has shown that some NF connectors cannot be cleaned even with long swabbing times. IP zero displacement connector, in contrast, has a smooth septum surface that is easily disinfected (Nelson Laboratories, Inc., 2007). Finally, the fluid pathways in all needle-free connectors vary in complexity and moving parts and include dead spaces that cannot be cleaned with flushing. These design features, while necessary to the connectors’ proper functioning, are problematic with respect to CR-BSI prevention. Ideally, the fluid pathway should be straight with no dead spaces or moving parts to permit complete cleaning when flushed. The IP connector has a straight fluid pathway, with no moving parts and an extremely small 0.027 mL priming volume. These design features provide a zero fluid displacement that avoids reflux issues. There is no required clamping sequence. It has a smooth, tight-fitting surface that can be easily cleaned with three-to-five scrubs. Research has proven that it can be flushed clean of all blood with as little as 1 mL of solution (RyMed Technologies, Inc., 2009). The NF designs have all evolved over the past 18 years. Their focus is on needle-free connection that protects the healthcare worker. Because the new IP design approach has improved patient safety and supports nursing practice, it is the best choice for CR-BSI bundle reduction selection. Tellingly, it is a key component of central line bundles at two organizations besides Sutter that have dramatically reduced or eliminated CR-BSI. One is the nationally prominent University of Texas MD Anderson Cancer Center in Houston, which conducted a 15-week trial with the connector in its adult and pediatric ICUs and outpatient departments. During the trial, bloodstream infections dropped ten-fold, leading the center to implement the connector hospital-wide. The other organization is Carolina Vascular Wellness (Durham, N.C.), a vascular access company that places inpatient and outpatient peripherally inserted central catheters (PICCs) throughout the Mid-Atlantic. The service has predominately used the zero displacement connector since January 2008. During this time period none of its patients—encompassing 496 PICCs—has suffered a bloodstream infection (data current through April 30, 2010). The service’s bundle includes two other products that are part of the Sutter bundle: the CHG disc and a catheter stabilization device that is optional for Sutter vascular access team members. Bundles are only effective to the degree that clinicians comply with them. Sutter has obviously achieved exceptional compliance, given its zero CR-BSI rate. It has done so through several means. First, all CVCs are placed as PICCs, which besides being associated with lower CR-BSI rates than other types of CVCs, can be placed by nurses. This policy has enabled Sutter’s vascular access team to take full responsibility for insertion and maintenance of most CVCs at the hospital, a task to which they are notably devoted. Similar focus might not be possible with physicians because of their wider array of duties. 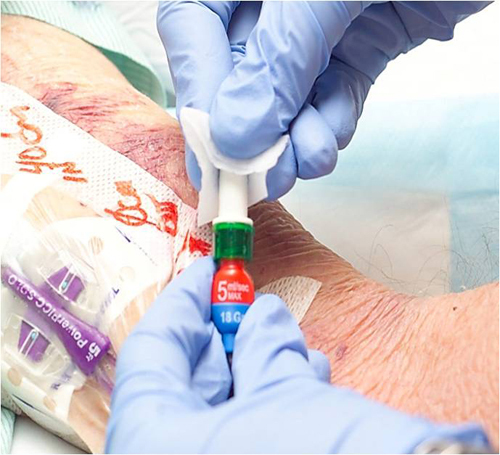 Sutter also uses only one IV connector product, the zero fluid displacement connector, rather than a variety of connectors—meaning all nurses have only one flushing routine and no clamping sequence to remember, thus simplifying care and decreasing human error. In addition, the team uses carts that are equipped with all products in their bundle and also educational cards that remind nurses of the bundle’s behavioral and product elements. Such steps are common in healthcare institutions today. The dedicated PICC-team, and the focus on both extraluminal and intraluminal protection are more notable. Using just one bundle and group of products in every unit of a hospital and in all hospitals in a hospital system — because nurses often work in different hospital units and even in different institutions within the same medical system. The more variation in products, policies, and other practices, the more chance there is for human errors. Regularly updating the vascular access education of all clinicians involved with central line care. Regularly collecting data, house-wide, evaluating outcomes, and implementing change based on available evidence when infection rates are not zero. Implementing an intraluminal protection connector as a primary component of a CR-BSI bundle. Without this protection, a zero infection rate may not be possible. Preventing CR-BSI is a multi-faceted, complex endeavor — but it is not unduly complicated because successful precedents exist that are easily replicated. CVC bundles that have proven effective in other institutions can be adopted wholesale. But because bacterial contamination is an ever-present threat, attention to detail must be fierce. Bundles should be used hospital- and systemwide and should include all evidence-based practices and products that have proven successful when the bundles were used elsewhere. Compliance should be enforced in multiple ways. This should start with an equal emphasis on the insertion phase and the care-and-maintenance phase. In the care- and-maintenance phase, the focus must be on both extraluminal insertion site protection and intraluminal fluid pathway protection. One proven way to achieve this is to put a dedicated nursing team in charge of central line maintenance — and insertion when possible, as well. The bundle should include not only practices but also products that are proven to offer fail-safe back-up to the practices, enabling consistent outcomes to be achieved. In sum, the procedures and technologies necessary to eliminate CR-BSI are becoming increasingly clear. But they should not be applied piecemeal because the synergy between them is a major key to their effectiveness. Denise Macklin is a clinical education consultant and author, based in Marietta, Georgia. She may be contacted at plsysinc@msn.com. Cynthia Chernecky is a professor in the School of Nursing at the Medical College of Georgia in Augusta, Georgia. She may be contacted at cchernecky@mcg.edu. Chernecky, C., & Waller, (2010). A comparison of bacterial CFUs in five intravenous connectors. In press, Clinical Nursing Research. Doi 10.1177/1054773810375110. Chernecky, C., Macklin, D., Casella, L., & Jarvis, E. (2009). 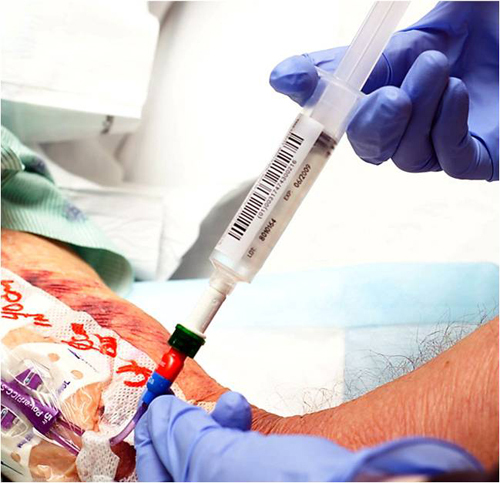 Caring for patients with cancer through nursing knowledge of IV connectors. Journal of Clinical Oncology Nursing, 13, 630-633. Donlan, R.M., & Costerton, J.W. (2002). Biofilms: Survival mechanisms of clinically relevant microorganisms. Clinical Microbiology Reviews, April, 167-193. Harnage, S.A. (2007). Achieving zero catheter-related blood stream infections: 15 months success in a community based medical center. Journal of the Association for Vascular Access, 12, 218-224. Harnage, S.A. (2008). Innovative bundle wipes out catheter-related bloodstream infection. Nursing, October 2008, 38:10, 17-18. Harnage, S.A. (2009). Zero CR-BSI rate? It’s possible. Nursing Management, June, 8-12. Jarvis, W.R., Murphy, C., Hall, K.K., et al. (2009). Health care–associated bloodstream infections associated with negative- or positive-pressure or displacement mechanical valve needleless connectors. Clinical Infectious Diseases, 49, 1821-1827. Medicare Program: Changes to the hospital inpatient prospective payment systems and fiscal year 2008 Rates. 72 Fed. Reg. 47379-47428. Mermel, L.A., & Marschall, J. (2009). Reply to Edgar. Infection Control and Hospital Epidemiology, Letters to the Editor, 40, 404. Nelson Laboratories, Inc. (2007), Salt Lake City, UT 2007, lab # 395445 & 398575. O’Grady, N., Alexander, M., Dellinger, E., et al. (2002) Guideline for the prevention of intravascular catheter-related infections. Morbidity and Mortality Weekly Report, 51(RR10), 1-26. Timsit J.F., Schwebel, C., Boudma, C., et al. (2009). Chlorhexidine-impregnated sponges and less frequent dressing changes for prevention of catheter-related infections in critically ill adults. Journal of the American Medical Association, 301(12), 1231-1241. Van Rooden, C.J., Schippers, E.F., Henri, F.L., et al. (2008). Prevention of coagulase-negative staphylococal central venous catheter-related infection using urokinase rinses: a randomized double-blind controlled trial in patients with hematologic malignancies. Journal of Clinical Oncology, 20, 428-433. Yokoe, D.S., Mermel, L.A., Anderson D.J., et al. (2008). A compendium of strategies to prevent healthcare-associated infections in acute care hospitals. Infection Control and Hospital Epidemiology, October, 29, S12-S21.